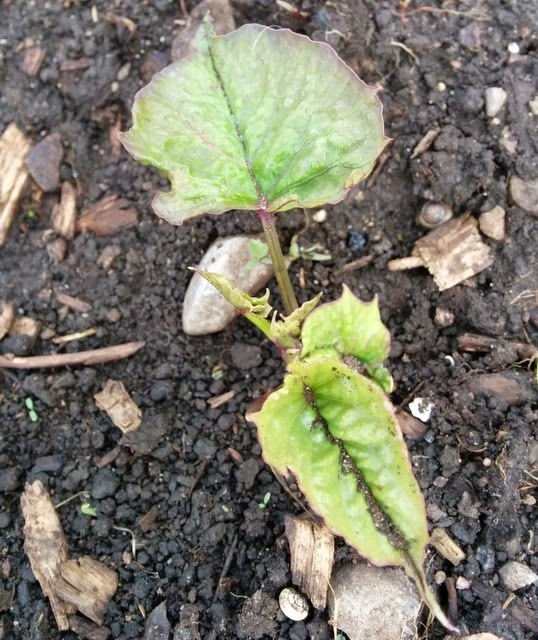 Last year was my first attempt at growing sweet potatoes. They didn't do brilliantly, due to the damp conditions we had last summer, but there were enough small potatoes to keep over the winter. I chatted to a man at the Seedy Saturday event who specialises in sweet potatoes and he agreed that last year was a particularly bad one for this crop, which encouraged me to try again this year. About a month ago I covered my pathetic little 2013 crop with compost and watered them every so often. Quite a few of them sprouted and I put them out in the upper vegetable garden the other day. I covered them with fleece on the day that it was supposed to drop to nearly freezing, which was just as well, given the slight ground frost yesterday morning. They look fine so far. Alongside them, I've put most of my okra seedlings. This is the first time I've grown okra, which I've always assumed (as I did with sweet potatoes) I couldn't grow in our climate. They are tender, but if we have a hot summer we should get a decent crop. Growing okra and sweet potatoes together is supposed to help both crops, so I will watch this experiment with interest. 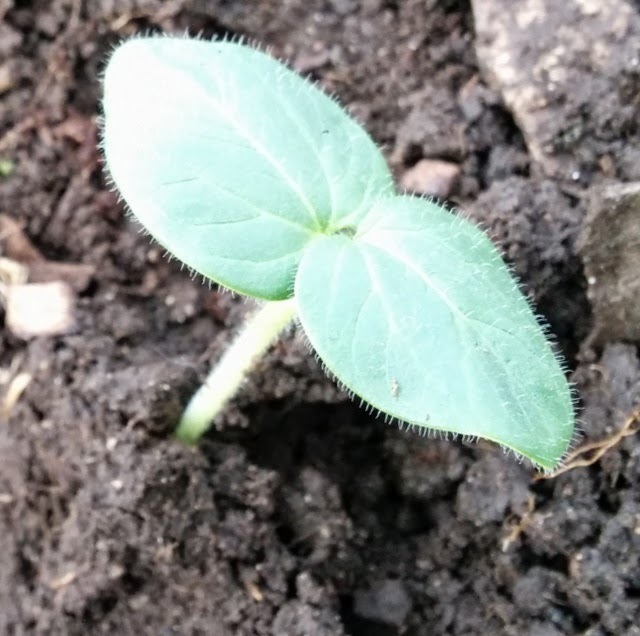 I've also put two of the okra seedlings (the variety is Clemson spineless) in the greenhouse, to see if they do better there. I had no idea what okra plants look like and was picturing something like a pepper plant in my mind - about one or two feet tall. It was a bit startling to read that they can get up to eight feet high! The greenhouse is producing lettuce and herbs like mad at the moment. Some are ones I sowed this year, others are volunteer seedlings from last year's gone-to-seed herbs and salad crops, like the cilantro/coriander in this clump. One bed is nearly full of volunteer bok choi - too much to eat and it bolts to seed very quickly. But the chickens seem to love it, so it's not being wasted! We had hours of heavy rain on Friday which has left the lower vegetable garden too wet to plant anything into, and to add insult to injury we woke up this morning to a very light frost. I think the squash and pumpkin plants which were already outside have weathered it. As a vote of confidence in their future I sowed a lot of radish seeds around that bed this morning. Apparently radish is a good deterrent against squash bugs, which have been a problem in the past. Tonight is supposed to be cool, too, but after that the temperatures should be much warmer at night. With any luck the soil in the lower vegetable garden will start to dry out a bit. I hope by next weekend most of the tender crops will be safely planted out.